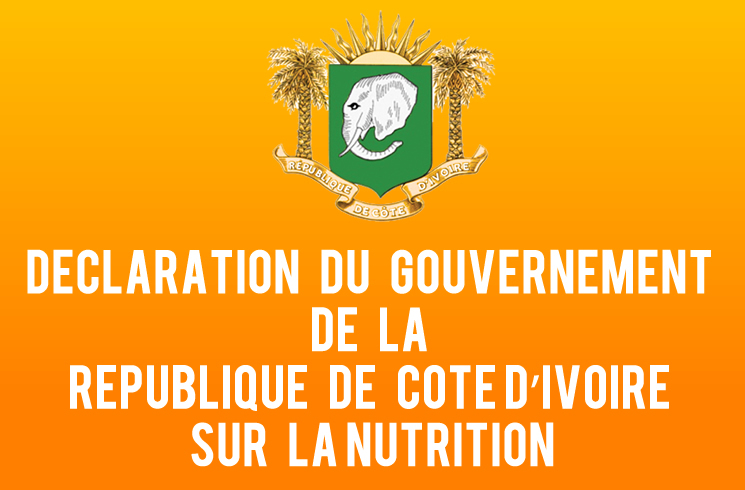 The Ivorian government has adopted a 2016-2020 national multi-sectoral nutrition plan, for an estimated total cost of more than 266 billion CFA francs. Declined in seven strategic areas, namely promoting good nutritional practices, strengthening the management of malnutrition, increased availability of nutritious and diversified foods as well as access to food, strengthening the food safety, strengthening the resilience of households to food and nutritional crises, improved hygiene, access to clean water and sanitation systems, creating a favourable nutritional environment and strengthening governance, this plan, according to the statement of the Cabinet held on Wednesday under the chairmanship of the head of State, Alassane Ouattara, will enable to ensure to the whole population, an optimal nutritional status and supports sustainable growth and inclusive development by 2020. To facilitate its implementation, the government authorized the organization of a round table of technical and financial partners, with the support of UNICEF, to mobilize the necessary resources to finance it. The 2016-2020 national multi-sectoral nutrition plan was developed by the technical committee of the National Council for Nutrition, under the supervision of the Ministry of Health and Public Hygiene and coordinate by the Prime Minister. It is, one says, the outcome of wider consultation process involving all stakeholders through a participatory and inclusive approach.